At the practice of oral surgeons Gerald Bird and Jay Johnson, we are concerned not only with your oral health, but with your overall health. Specifically, we focus on how the health of your mouth and its various tissues interact with and exert influence on the health of your entire body. We understand on an intimate level the structures of the mouth, and offer a comprehensive range of diagnostic and oral surgery procedures that allow you to achieve and maintain optimal health. Tragically, incidences of oral cancer have been on the rise in recent years. This is in part due to the fact that too many people fail to undergo regular comprehensive oral screenings with a surgeon who specializes in oral pathology. If you are in need of an oral screening from an experienced Cocoa oral surgeon, you will find two of the most reputable in the nation in Dr. Gerald Bird and Dr. Jay Johnson. It is important to note that most disorders of the mouth, including oral cancer, are most easily treated in their earliest stages. The longer they are left untreated, let alone undiagnosed, the more difficult they are to treat. If you haven’t undergone a comprehensive oral screening, or if you are in need of a Cocoa oral pathology surgery specialist, we urge you to contact the practice of Drs. Gerald Bird and Jay Johnson today. Oral pathology refers to a specialized branch of dentistry that deals with the diagnosis and treatment of oral disorders, including oral cancer and abnormal growths and lesions in the mouth. During an initial screening, Drs. Bird and Johnson are able to detect abnormal tissue in the mouth using a painless laser. Not all abnormal tissue indicates the presence of cancer; however, any abnormalities will be analyzed and carefully examined. If oral cancer is present, our Cocoa oral surgeons will discuss your options and recommended treatment plan with you in detail. Drs. Bird and Johnson are compassionate and straightforward with their patients, making sure that all of their questions are answered and concerns are addressed before moving forward. If surgery is recommended for the treatment of oral cancer or other oral disease, the details of the surgery will depend on the circumstances of the individual case. Surgical excision of the affected tissue may be recommended. Generally, the affected tissue, plus a small amount of surrounding normal tissue will be removed. Whether this tissue removal is limited to the soft tissues of the mouth or also includes part of the lower jaw or maxilla depends on the location of the cancerous tissue and the extent to which it has spread. If large amounts of tissue must be removed, prosthetic devices and tissue grafts can restore appearance and function to the area. The most important goal, of course, is to completely remove all cancerous tissue and to ensure the health of the patient. 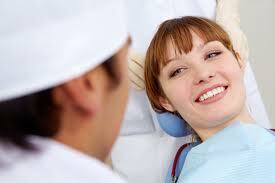 Remember that oral cancer and other disorders of the mouth can be treated if caught in their earliest stages. Take action to protect your health today - contact our oral surgeons in Cocoa.